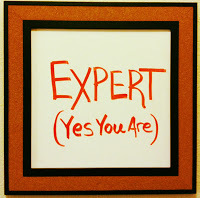 You are already an expert at something. Or at least you are well on your way to becoming one. Many of us are experts at something that is just a hobby — sewing, making things, collecting comics — whatever. Our challenge is to realize that expertise and find a way to constantly use it to make people’s lives better who most need our help. Finding your passion, then getting paid to pursue it. Many people have spent a ton of life energy in a quest to discover their passion. And for many of them, once they found it, that was enough. Finding the thing that lights them up inside satisfies the quest. But some people want more than that—they want to live their passion. Some want to break free of their mind-numbing routine that has become their life and spend each waking hour doing what they love most. I believe we can all do this if we truly want it. Easy to say, but how do you make it happen? Many of us are at a point in our lives where we have valuable information to share. For instance, over the past 10 years I have acquired a ton of knowledge of how to build music programs in schools from scratch. I have learned how to do that from being a teacher, an administrator, and Executive Director, and a facilitator at various clinics. It was a beautiful accident, really, but I’ll take it. Or I can branch out on my own and become a consultant. I can work for myself. I have the knowledge, I just need to make the commitment to transition. We have heard this quote a bunch. However, this isn’t a “just embrace the power of positive thinking and become incredibly successful” inspirational quote. It’s the type of quote that forces us to evaluate our own intentions, motivations, and thoughts. I have read about Jason Gracia lately. He’s been building businesses online for years. Jason is the author of Shifting the Balance and creator of The Six-Figure Expert, where he specializes in helping people transform their passion or expertise into six-figure brands and businesses. The best part is he began his journey with just $35, eventually becoming a multiple six-figure expert with a worldwide audience. There’s obviously a lot more to this. You should definitely check out Jason’s work. It’s not about making six figures. It’s about opening our minds up to the fact that there is a fine line from being someone who goes to work every day for someone else and someone who pursues their passion as their life work for themselves. It’s also important that we unlock our self-doubt and our belief that success is something that other people achieve. If we simply debunk that notion in our minds, what could/would we do differently in our work? The first step for many of us is to simply realize we hold something of value that needs to be shared with others. What do you think that is for you? What are you an expert at?